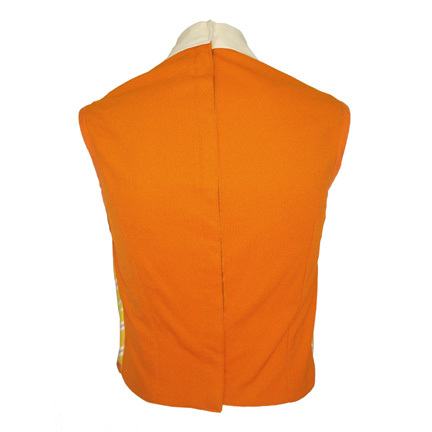 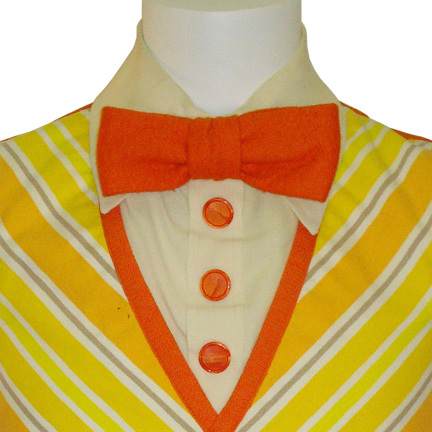 This orange and yellow diagonally striped vest with bowtie was worn by comedic actor Jim Nabors during one of the hilarious musical sketches featured on “The Carol Burnett Show” also starring Tim Conway, Vicki Laurence, and Harvey Korman. 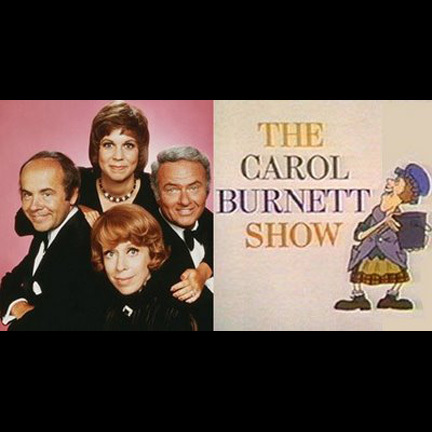 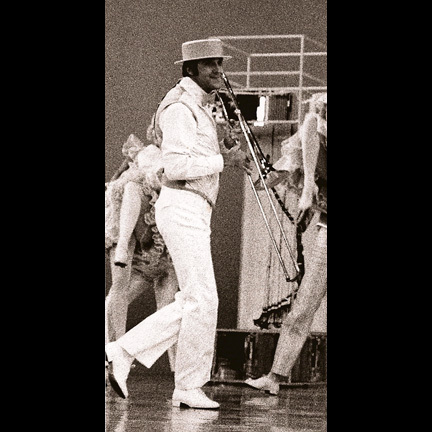 Mr. Nabors wore the garments while performing alongside Carol Burnett and Vicki Laurence while playing a trombone during one of the numerous variety show style sequences for which “The Carol Burnett Show” was well known. 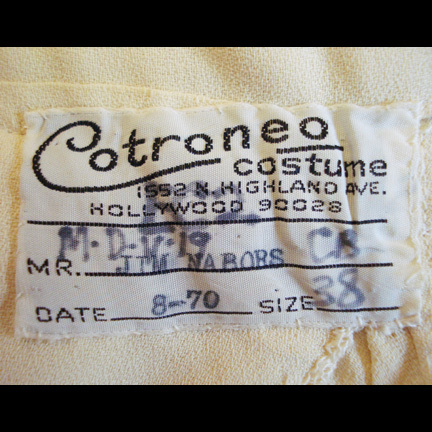 The custom made vest by Cotroneo is complete with original costumers label sewn inside with the name “Jim Nabors” clearly typed. 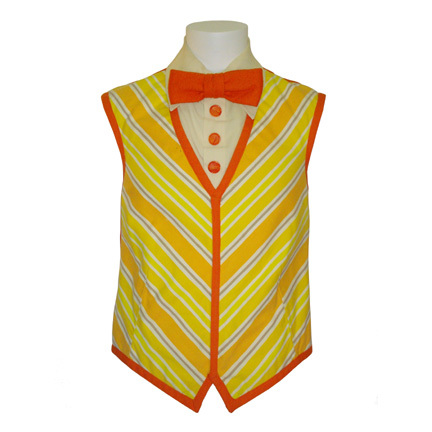 The vest and tie are in very good screen used condition and are accompanied by a letter of authenticity.